The see-saw tendency of crude traders was demonstrated on Tuesday, just 24 hours after oil prices rose on the fear that markets would soon tighten globally: this time, reports of a decline in U.S. inventories caused oil prices to move only incrementally. 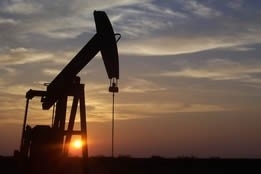 West Texas Intermediate rose a mere 4 cents to $69.21 per barrel, while Brent dropped 2 cents to $74.63 per barrel. What is remarkable about Tuesday's unspectacular trading session is that this was the day Washington imposed new sanctions against Iran, targeting that country's purchases of U.S. dollars - in which oil is traded - metals trading, coal, industrial software, and its auto sector. The advent of the sanctions have been a primary concern of crude analysts, who worry that Washington's eventual target of Iran's petroleum sector - on top of declining output in Venezuela and other countries - will result in tightening supplies and skyrocketing prices. But ANZ bank speculated in a note that "News from key buyers suggests the market is already adjusting to the new regime." Meanwhile, the American Petroleum Institute on Tuesday reported that crude inventories fell by 6 million barrels to 407.2 million in the week to August 3; this accompanied the Energy Information Administration slightly cutting its expectation for average 2018 U.S. output to 10.69 million barrels per day (bpd), down from its previous estimate of 10.79 million bpd. Given the jittery nature of crude traders, it could well be that the inventory drop will result in a delayed reaction of higher prices later this week: on Monday, reports of a modest drop in output from Saudi Arabia triggered mass speculation that global supplies would soon be depleted, and prices rose accordingly. 23 parties said to have shown interest, including companies from Singapore, India, and Dubai.